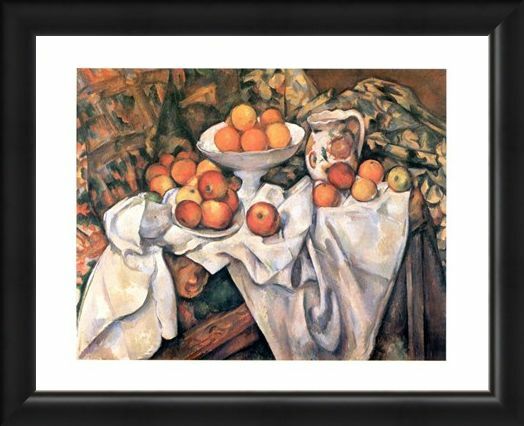 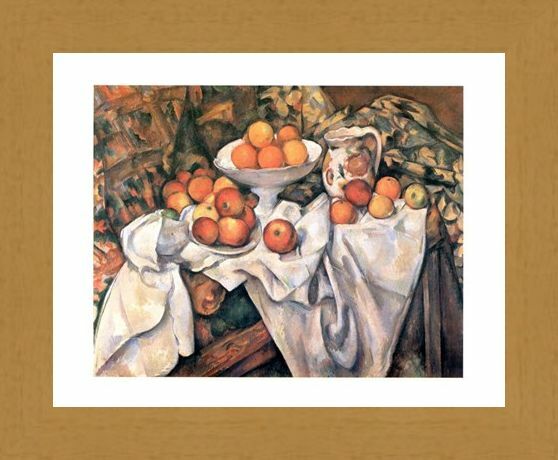 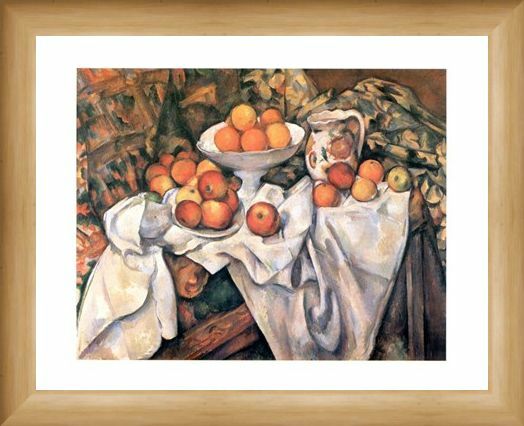 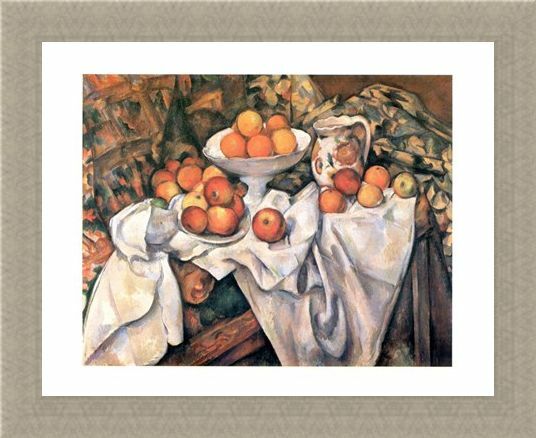 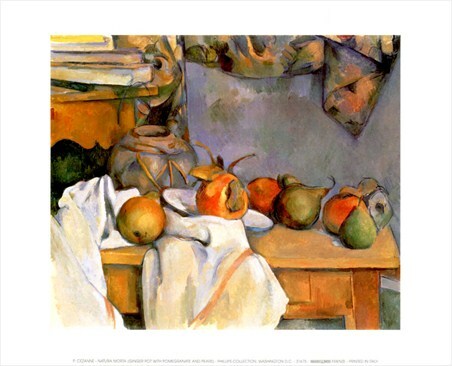 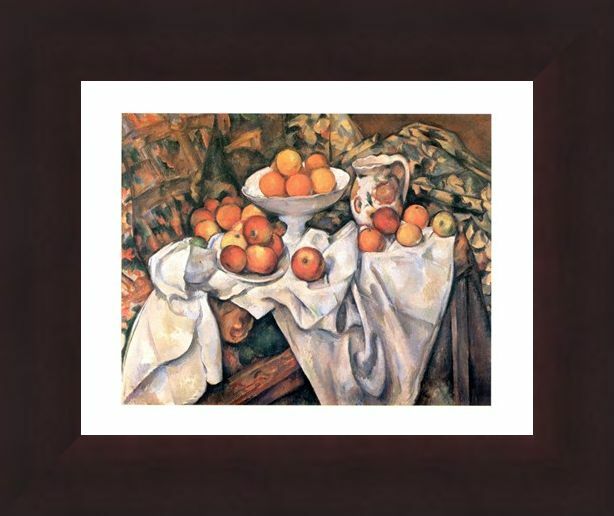 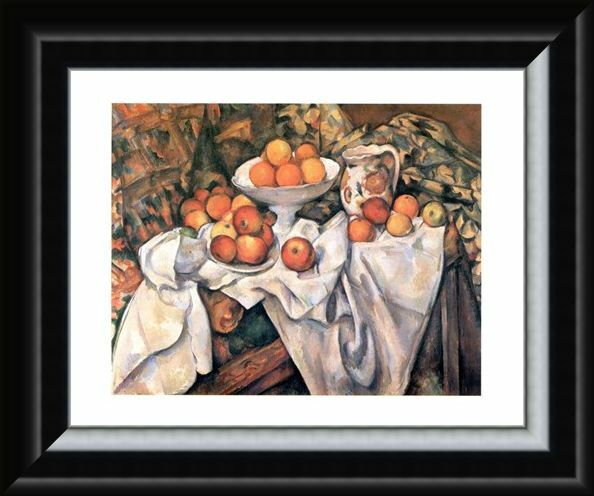 Art Print: This stunning painting of oranges and apples or "Mele ed Arance" by Paul Cezanne would look enticing on anybody's wall. 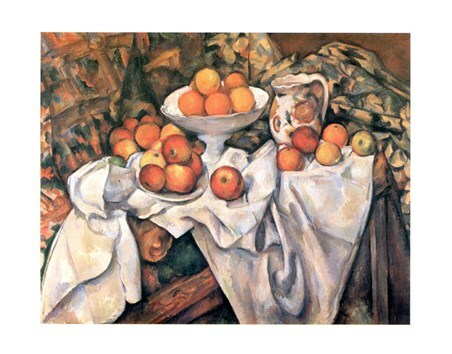 This still life creation certainly is a joy to look at, with the wonderful fruit scattered invitingly on a well dressed table. 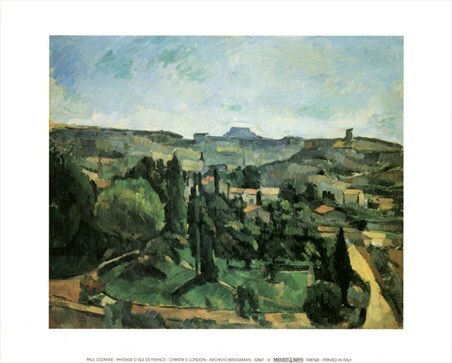 Paul Cezanne was a French post impressionist artist who created many pieces of art which demonstrated his wonderful talent for composition and stunning use of colour. 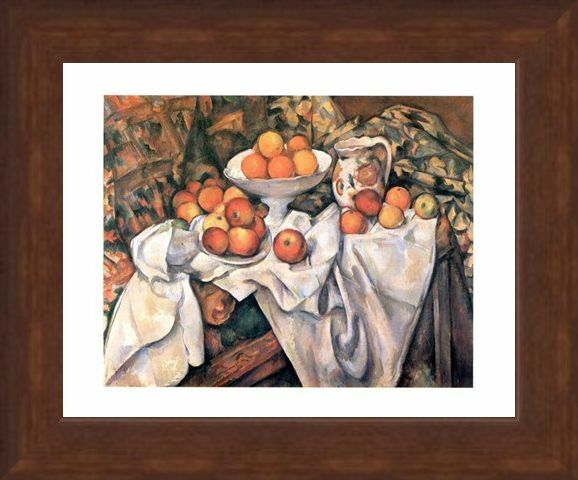 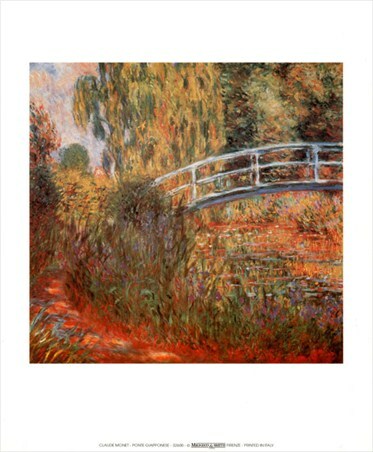 So if you love the perfectly balanced "Mele ed Arance" then why not choose this mini art print to hang on your wall, and bring some sumptuous French art to your room. 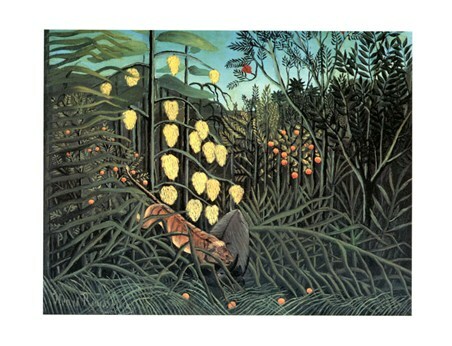 High quality, framed Mele ed Arance, Paul Cezanne mini print with a bespoke frame by our custom framing service.